For most buyers foreclosures are a valid avenue to pursue. The process of buying a foreclosure is the same as a regular sale. There is an easily identifiable owner (the bank), negotiations often are wrapped up in a few days (with the exception being that the banks typically are not available holidays and weekends) and settlement can occur within the normal 30 to 60 day time frame. Are the prices better than the market? In my opinion, slightly but most of the price differential is sweat equity. The banks have the local listing agent (and sometimes more than 1) do a market analysis. The cost of any repairs are built into the price and there may or may not be some additional allowance for unknowns. But if you can do the repairs yourself, you come out ahead as you get tremendous savings on the labor. Another reason to buy a foreclosure is that it may get a buyer into a neighborhood they could not otherwise afford. Say a home is in a $500,000 neighborhood but because of the work needed, it is priced at $450,000 and $450,000 is the top range the buyer can afford. Well, that home could be a very wise purchase. The most common type is a bankruptcy sale ordered by the court. There is a local bankruptcy attorney that has referred several of these to me so I am quite familiar with the process. These cases only get referred to a Realtor when there is equity in the property and that equity can be used by the court to pay off the other debts of the homeowner. In this case, the buyer negotiates directly with the homeowner and once an agreement is reached, the contract is forwarded to the court for review. Settlement can not take place until about two weeks after the court approves the sale. So, one has to plan for at least a 45 to 60 day time frame between contract and settlement. There is nothing that can be done to speed this up. The bankruptcy attorney for the homeowner will get it on the docket as quickly as possible. Now, I have never seen one of these sales denied by court. If the the Realtor, homeowner and bankruptcy attorney work together, it is just a rubber stamp by the court. The bankruptcy attorney knows what numbers will or will not work so the homeowner is well advised to speak with their attorney before officially signing the contract. Now in a bankruptcy sale, of course, the homeowner is struggling financially so the possibility of the homeowner executing any repairs is probably pretty slim. However, after a home inspection if there are issues that surface, there can be a 2nd negotiation conducted to either reduce the price and/or have the seller pay closing costs. All of this needs to be done before the contract is presented to the court. The issue is these cases is that the timing between contract to settlement is based on the timing of the court so buyers on a tight timetable should not pursue these homes. Additionally, the homeowner is often living in the property and needs to find a new place to live. This is extremely hard while in the middle of a bankruptcy so a buyer should be prepared for potential delays involving occupancy. Well now we come to thorn in the side of every Realtor. I strongly urge all buyers to pursue every other angle before pursing a short sale. They are a vast wilderness full of pits, traps and winding paths that lead to nowhere. First, by definition, a short sale means that the homeowner owes more on the property than it is worth and is behind on their payments. 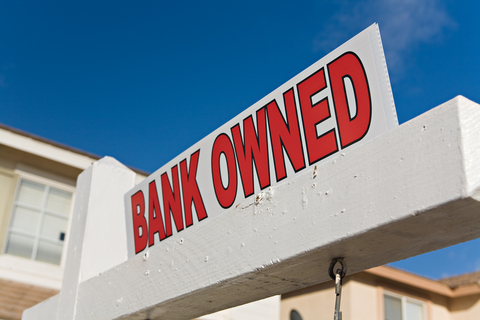 Instead of having a foreclosure or bankruptcy on their credit record, they decide to pursue the short sale route. Sometimes there is one bank involved and sometimes the seller has a 2nd trust as well. Prices on short sales are set by the seller and listing agent and often look extremely attractive. Furthermore, you can make just about any offer you want on a short sale and it is likely the seller will sign it. Really what do they care? They are not making any money at full price so 10% or 20% off full price is the same to them. And for reasons too complicated to go into here, it may be in their best interests to sign any contract presented to get the process started. So once, the contract is signed and ratified, it is sent to the bank or banks for review. The bank needs to approve both the seller and the contract. The seller needs to submit all of their financial data to the bank so the bank can be assured that they are really in distress, unable to make the payments and not just taking advantage of the system. Often this first part is done (or partially done) before the home goes on the market but some sellers, listing agents or banks start this once the contract is ratified. Then once the seller is approved, the bank needs to understand the value of the home. The bank will hire local Realtors to give them a BPO (broker price opinion). They may even hire an appraiser. This is where that supposedly good deal starts to look less attractive. It is not uncommon for a bank to counter the contract price and force a number that is closer to market. This can happen weeks or months after the contract was ratified. Of course the buyer does not need to accept and can walk. If a home is valued at $500,000 and the contract states the sale price is $400,000, the banks will not work with that as they feel they would be better off letting it go to foreclosure where they can get a better net – even after all of the carrying costs. Then after that is resolved, there is continuing negotiation between the 1st and 2nd trust holder as to how much of a loss each will take. There may be negotiations between the bank and the mortgage insurers or negotiations between the bank and other investors. And, maybe somewhere along the way perhaps the bank negotiator is reassigned, a new person looks at the file, orders another BPO, wants updated financials from the sellers and the whole process starts all over again. c) have no idea of the final price until the banks have fully reviewed the file and even then they reserve the right to change their mind until they issue the approval letter. By the way, in the end, after waiting for months, you may not settle. The bank may not approve the sale. The homeowner may suddenly decide bankruptcy is the better option or some homeowner judgment or lien surfaces to stop the whole process and force a foreclosure. There is so much more I could get into on distress sales. If you would like to learn more, please give me a call or write a comment or question below. I have always heard the statistic that only 20% of short sale listings ever get to closing. For short sale sellers often it is the buyer who, after holding out for two months, decides to withdraw their offer and move on leaving the seller back at square one. Doug, thanks for the comment. You are correct. Only a small portion of short sales settle. Very often it is the buyer who backs out after waiting months for the bank to approve the short sale. My short sale contracts (and those of many buyer agents) will have a clause in the contract that the bank must approve the contract within 45 or 60 days. Reality is that this is unlikely to happen. After that time frame, the clause states, the contract remains in force unless the buyer sends a notice to the seller wishing to terminate the contract. Once notice is sent, unless the seller can get approval within 3 days of the notice being sent, the contract dies. So, the practical side of most short sales is that after some reasonable waiting period, a buyer begins to wonder if this is ever going to happen and starts to look at other properties. Often they find something that they like and is a home that gives them a real chance of settling so they back out of the short sale. Now, depending how long into the process the first contract terminates, the short sale home could become very attractive to a 2nd buyer. Often, a substantial amount of the property review has been done so a 2nd buyer stepping in will have a much shorter time to wait for approval. 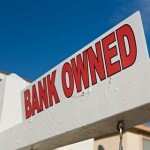 On the other hand, when the first contract dies, the bank may shift the whole file over to the foreclosure department. There are no hard and fast rules as to how banks deal with short sales. Each carves a unique trail that ends up either in a settlement or a sale at the courthouse steps.